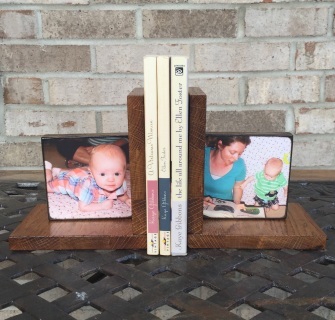 These Book Ends are made with Oak Wood so they are nice and heavy. These are 5" x 5" x 5 1/2". The square piece for the photo's are 4" square. You can add photo's, names, dates or anything else on both sides front and back! These will go through a 4 day coating process. You can choose your stain color (Light, Medium or Dark). These are made to last for generations! If you need a custom size made, feel free to ask for a quote! 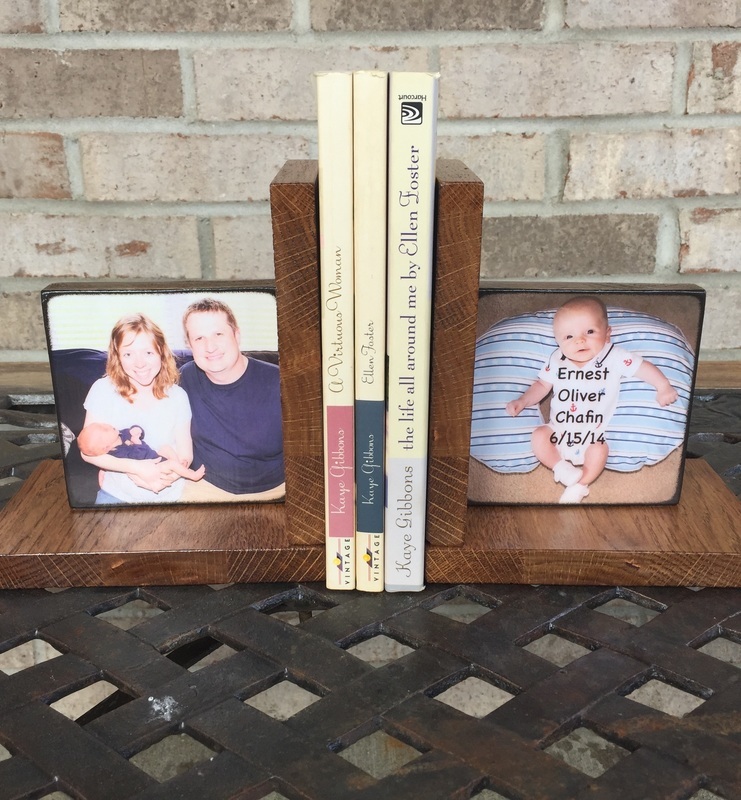 You can personalize BOTH sides on each end with names, photo's, quotes or anything else you want to see on your book ends.